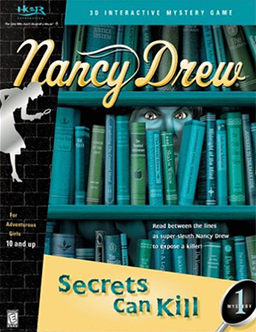 A crime has been committed at the local high school and it’s up to you as Nancy Drew® to crack the case! Look carefully in every nook and cranny for almost 200 hidden clues. Interrogate suspects and solve over 75 cryptic codes and puzzles to weed out possible suspects. Question everything to uncover the truth and catch a cunning criminal. If you need more information please contact the developers of Secrets Can Kill (Her Interactive, Inc.), or check out their product website.